We work diligently to offer a broad range of surveying services that fit each of our client's needs, schedules and budgets. We strive to meet or exceed these demands by working with each client to determine their project's scope, which affords us the opportunity to match the best solution for their unique situation. Contact us for all your surveying needs. No project is too large or too small. We look forward to working with you on your next project! In 1985, Stanley D. Graff started his business with 15 years of surveying experience under his belt. Looking back, this successful business venture has been a labor of love and worth all the effort. S D Graff Professional Surveying is proud to offer a rich tradition of providing clients a variety of residential and commercial surveying services for over 26 years. 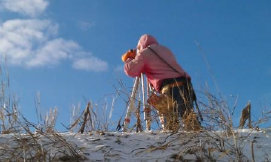 We are a Pennsylvania licensed professional surveying firm that provides a wide array of high quality surveying services. Our clients include homeowners, builders, contractors, businesses and government entities.